The winners of the 4th Global Holcim Awards for Sustainable Construction have been decided – the trophies and USD 350,000 prize money go to projects in Colombia, Sri Lanka and the USA. 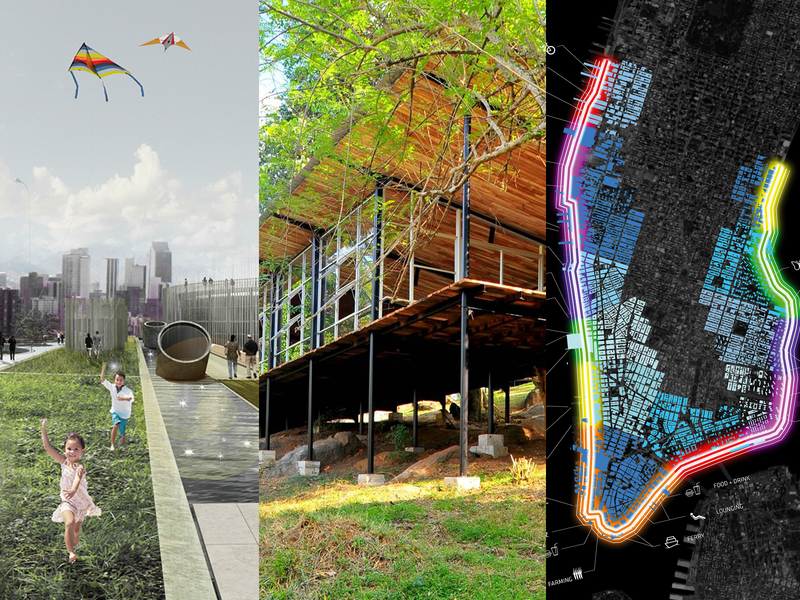 All three prizes recognize architectural interventions that deliver tangible benefits to local communities: Turning a decommissioned water reservoir into a park in Medellín, rebuilding social fabric through a community library in Ambepussa following Sri Lanka’s civil war, and creating public zones and flood-protection for the island of Manhattan. 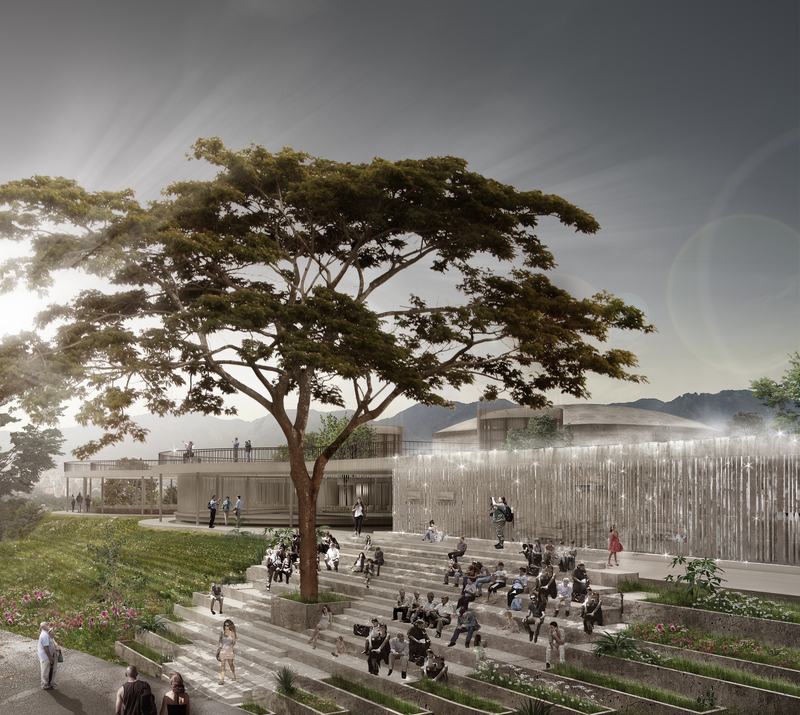 The USD 2 million Holcim Awards is the most significant international competition for sustainable design and takes place every three years. 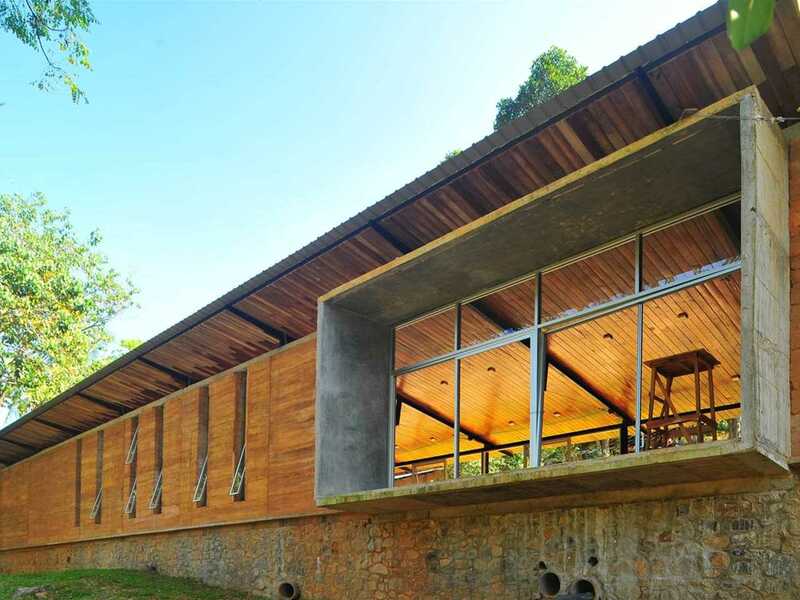 The 4th cycle attracted more than 6,000 entries for projects to be built in 152 countries. 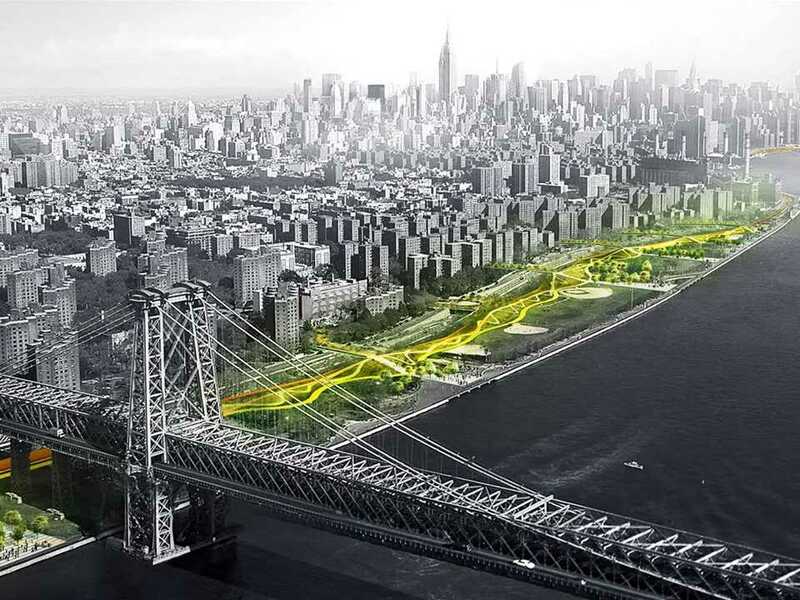 The jury of international experts led by Mohsen Mostafavi, Dean of the Graduate School of Design (GSD) at Harvard University, USA selected the winners from the 15 projects which had been awarded the top prizes in the five regional Holcim Awards competitions in 2014. Global Holcim Awards jury member Alejandro Aravena of Elemental, Chile underlined the overall quality of the project entries in particular: “The Holcim Awards has not just been able to bring sustainability to the attention of the people but it has raised the standard and the quality of how professionals have to deal with it”, he said. Jury member Meisa Batayneh Maani of maisam architects and engineers, Jordan drew attention to the variety of the projects: “The competition sheds light on the way people live in different regions of the world and celebrates their specific ambition to live better lives. 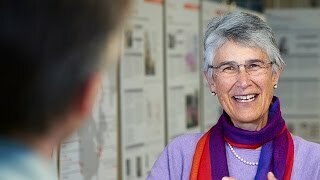 By doing so, the Holcim Awards disseminates information, showing the world what’s going on”, she said. A project for a public park in Medellín, Colombia that creates urban spaces around a series of water tanks to form a “socio-technical” landscape of magnificent beauty won the gold prize. 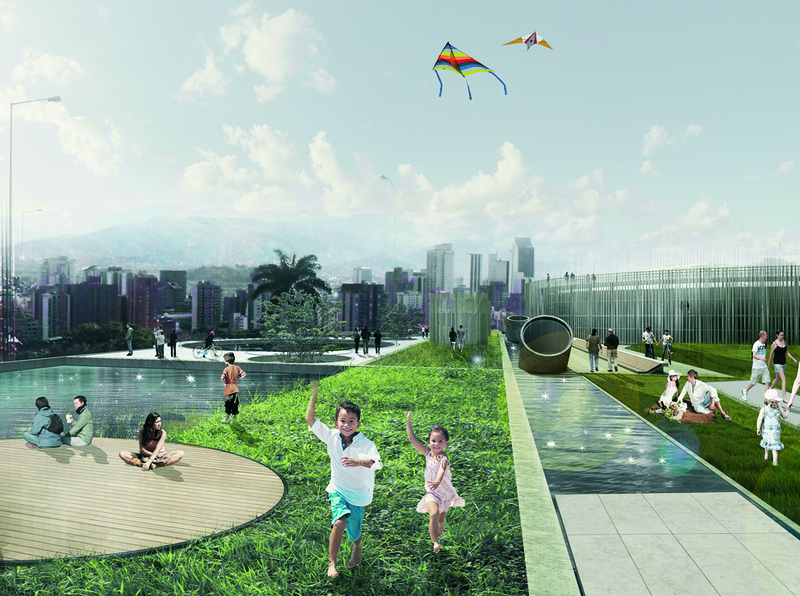 The design by Mario Camargo and Luis Tombé of Colectivo 720 in Cali, together with Juan Calle and Horacio Valencia of EPM Group (Empresas Públicas de Medellín), all Colombia opens up hidden infrastructure within the city to create a civic space at the intersection of architecture, landscape, infrastructure, and urban design. The public space and pre-existing elements are transformed to create an outdoor auditorium and venues for a range of community activities that highlight the value of water as an important resource of urban life. 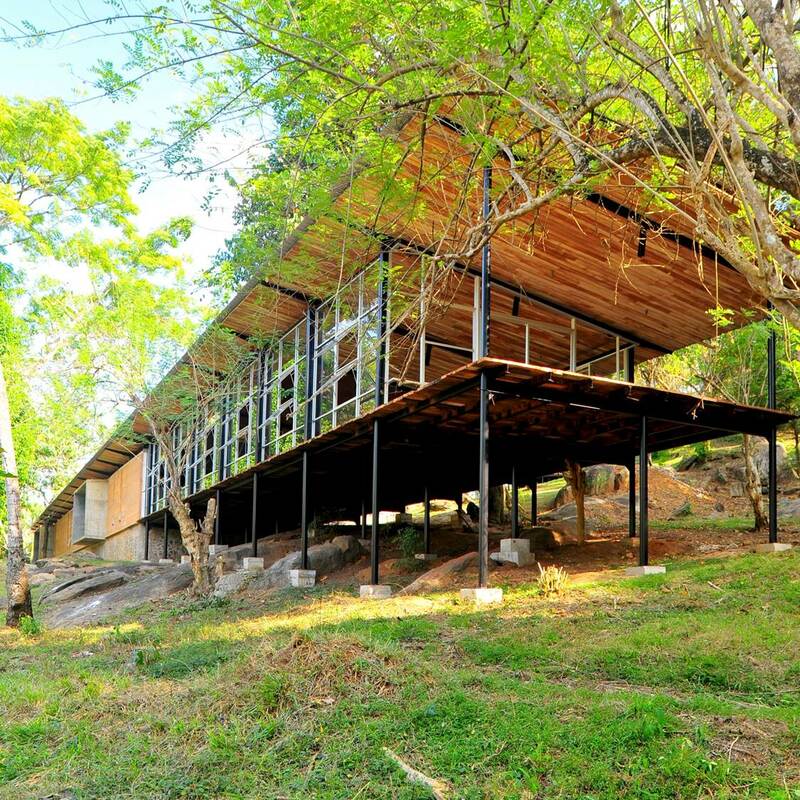 Silver was awarded to a project in the rural town of Ambepussa near Colombo, Sri Lanka that aims to reintegrate soldiers into post-war Sri Lankan society. 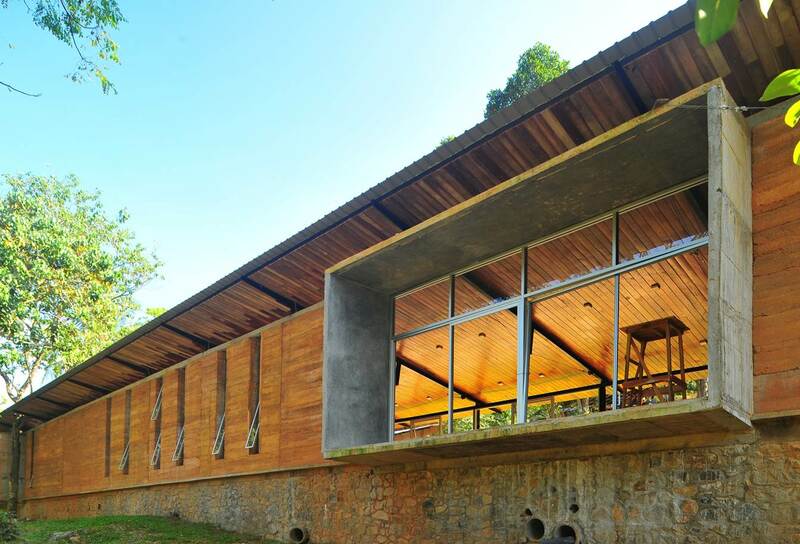 The community library by Milinda Pathiraja and Ganga Ratnayake of Robust Architecture Workshop in Colombo is made of rammed-earth walls and recycled materials. With the support of the army, young men were coached in building techniques through the construction process. Mohsen Mostafavi explained that the value of the project centers on transforming a discharged army without mission into a motivated workforce at the service of society using a set of concrete measures including the introduction of an educational program and the deployment of particular construction techniques. 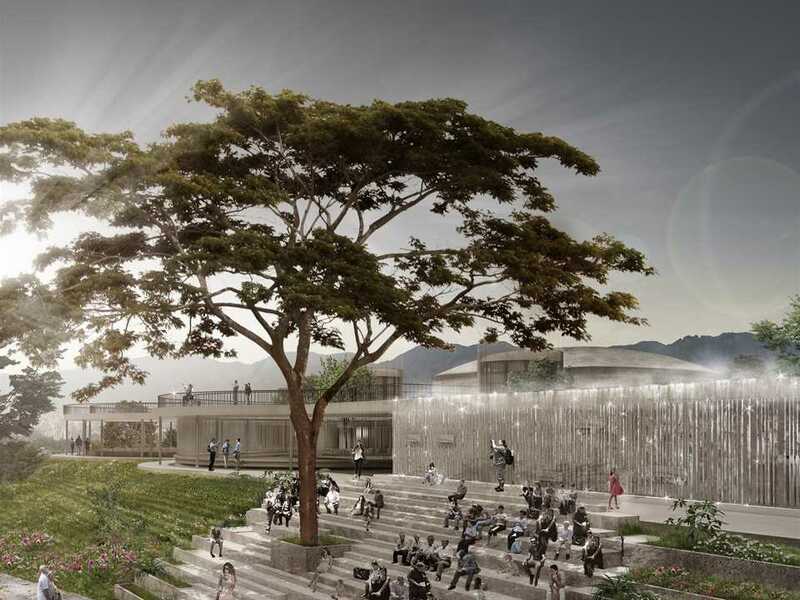 “There is significant value in the basic message of the scheme – and the construction of a library that builds both the physical and social fabric of a community”, he said. 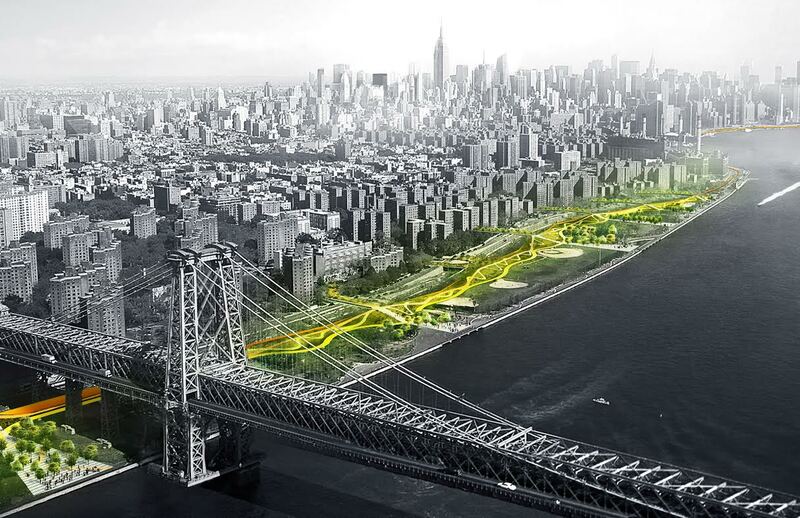 A large-scale integrated flood protection system to address the vulnerability of New York City to coastal flooding won the Global Holcim Awards Bronze. 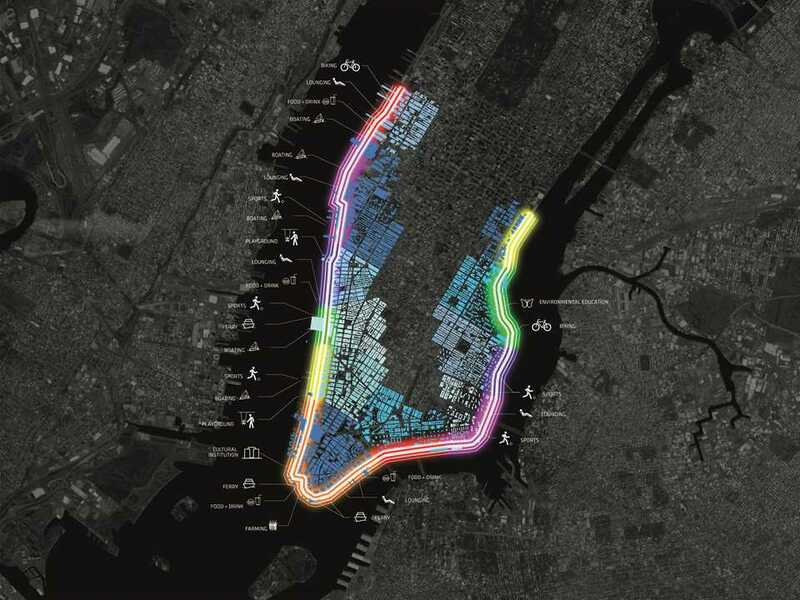 The “Dryline” project by a consortium headed by BIG – Bjarke Ingels Group (Copenhagen/New York), and One Architecture (Amsterdam) in collaboration with the City of New York, proposes a protective ribbon in Southern Manhattan using a series of raised berms and other measures to create public spaces along the water’s edge. The infrastructural barrier incorporates a range of neighborhood functions that foster local commercial, recreational, and cultural activities. 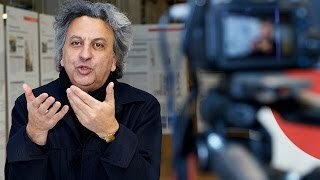 Mohsen Mostafavi praised the project for turning a problem into an opportunity. 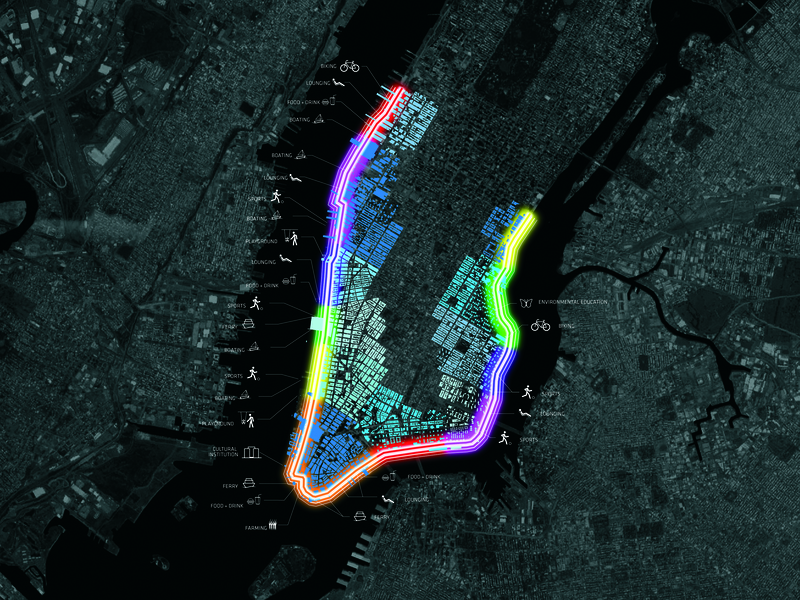 “The project makes a political statement by means of an architectural and urban proposition – where tangible solutions to the effects of climate change can be created, where New York City is a prototype from which similar strategies in susceptible regions around the globe could be pursued”, he said. 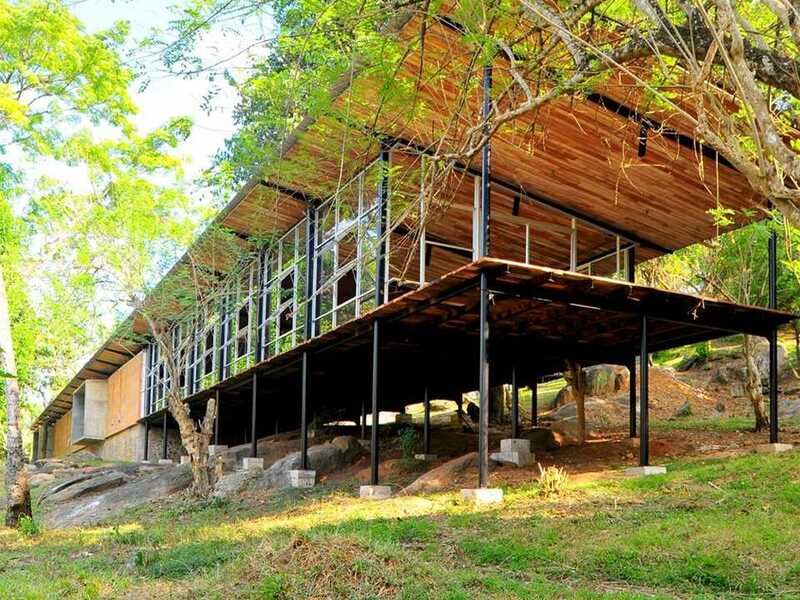 The international Holcim Awards for Sustainable Construction competition seeks innovative, future-oriented and tangible construction projects to promote sustainable responses to the technological, environmental, socioeconomic and cultural issues affecting building and construction. The next competition will open for entries in mid-2016. To compare the diverse submissions, the juries use the “target issues” for sustainable construction which have been identified by the Holcim Foundation. They address the triple bottom line of environmental performance, social responsibility and economic efficiency and also cover architectural quality and the suitability for broad-scale application and multiplication of the project’s features. 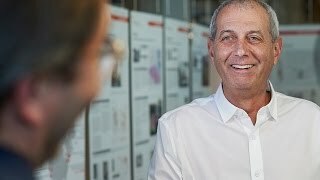 The Holcim Awards competition has been run by the Swiss-based Holcim Foundation since 2004, and is supported by Holcim Ltd and its Group companies in around 70 countries. Holcim is one of the world’s leading suppliers of cement and aggregates (crushed stone, gravel and sand) as well as further activities such as ready-mix concrete and asphalt including services.